The 2018 Tour de Wildwood is over! Click here to visit the Tour de Wildwood page for the current year's ride! Online registration is open until ride start time Sunday - save $5 when you pre-register online! Or come on down & register Sunday morning in person - we won't turn anyone away! Ride will go, rain or shine! We are very pleased to be able to partner with the City of Wildwood to offer 2018 Tour de Wildwood on Sunday October 7th, 2018. 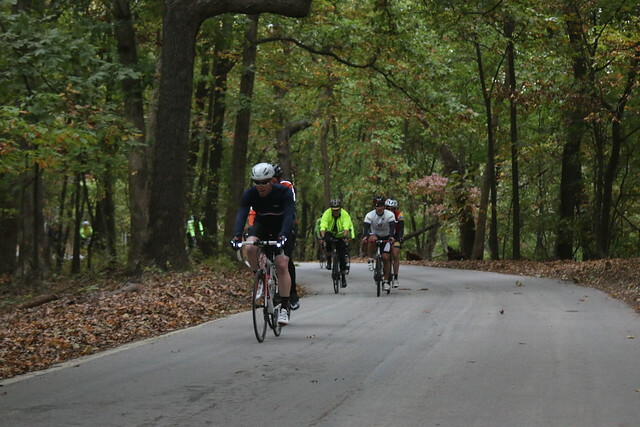 Ride a section of historic Route 66, visit Babler State Park and Rockwoods Reservation Conservation Area, and enjoy the beautiful fall leaves as you ride the low-traffic roads through the hills of Wildwood. Win a bike! Every ride registration is an entry in a drawing to win a bike. Bike donated by Big Shark Bicycle Company. NEW for 2018! 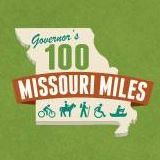 Updated 50 MILE Long Route. Wildwood is in western St Louis County, convenient to everywhere in the greater St Louis area, and just an 1.5-2 hours to Columbia, Hannibal, Farmington, and Cape Girardeau and many areas of downstate Illinois. Hope you can join us! 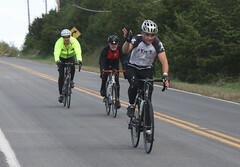 The ride starts and ends at Wildwood City Hall, 16860 Main Street, Wildwood, MO. Note: The lunch trailer will CLOSE promptly at 1pm. The lunch trailer will be closed up and moved off site. Please plan to arrive at the finish line before 1pm if you want to enjoy the lunch! TDW 2018 jersey willl be for sale at ride registration. More information coming soon! All turns are marked with orange paint and "TdW" (for Wildwood) EXCEPT the section in Babler Park, which is marked with signs "Tour de Wildwood". Where routes diverge, they are marked Long (L) and Short (S); also look for "Out" (outbound) and "In" (Inbound) where inbound & outbound routes meet. IMPORTANT NOTE: Long Route RideWith GPS, FIT, TCX, and GPX files were updated 2:00pm 6 Oct 2018 with a correction to match the PDF map and on-course route marks. Routes are mostly on the beautiful low-traffic roads of Wildwood. Most TdW routes are on rural roads with 25-30 MPH speed limits. The route passes through or along several parks, conservation areas, and Babler State Park. Several sections of the route are on historic Route 66. Parking is in the parking structure directly north of City Hall or the surface parking lot directly north of the parking structure. Registration is inside City Hall. Lunch (11am-1pm) will be served just outside City Hall. Riders will enjoy a fully sagged ride, SAG stops with refreshments, lunch after the ride, and a LOT of goodies with ride registration--see below. Bike Mechanic on site--thanks to Big Shark Bicycle Co.
Do you know all you need to know to safely ride a bike with traffic? Do you feel you know enough to teach your children how to ride cautiously and conspicuously while on their own? When you drive your car, are you confident on how to share the road with people on bikes? Do you know how to safely share the road with many other cyclists on a group ride? Tour de Wildwood riders are invited to join a Traffic Safety 101 Course ride-day morning--FREE with your TdW registration. 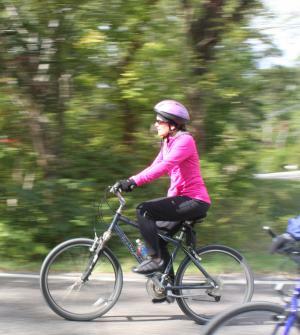 The course will be on-bicycle and will cover traffic safety and group riding skills for cyclists. The class will start at 8am the morning of the ride at Wildwood City Hall--immediately after the long course (48 mile route) departure time. After enjoying this fun and educational on-bicycle course for about 1 hour, you can immediately depart for the short course (28 mile route) at 9am. The course is great for novice, intermediate, and experienced riders. It will be a hands-on course demonstrating and allowing you to practice skills such as dealing with traffic, negotiating intersections, and handling common group ride scenarios safely and confidently. We can't run an amazing event like this without some really great volunteers to help! We have a nice package of perks lined up for our volunteers. For some volunteer jobs, you can volunteer AND ride. Save $5 when you pre-register online. Online pre-registration is open through 6am ride day - after that come down and register in person. Many thanks to the City of Wildwood for working with us to present the Tour of Wildwood this year! Huge thank you to the 2018 Tour de Wildwood ride supporters and sponsors! Many thanks to Ryan Clymer for creating the GPS Track! Photos from previous editions of the Tour de Wildwood are now online!